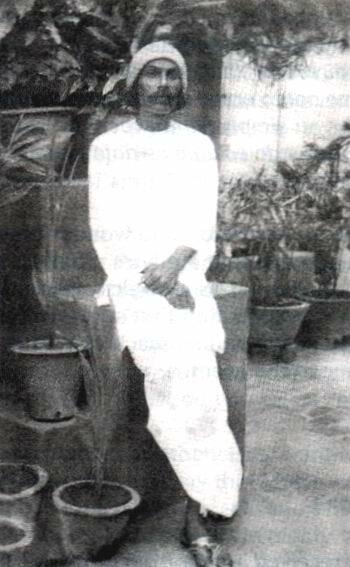 Nolini Kanta Gupta (13.1.1889—7.2.1984) was an active participant in the Swadeshi and national education movements from the tender age of sixteen. 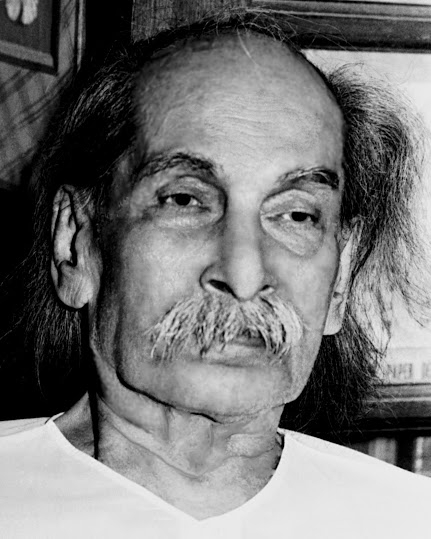 He was introduced to Barindra Kumar Ghose, noted revolutionary and Sri Aurobindo’s younger brother, towards the end of 1907 who influenced him to join the Maniktolla Secret Society at 32 Muraripukur Road in Calcutta. 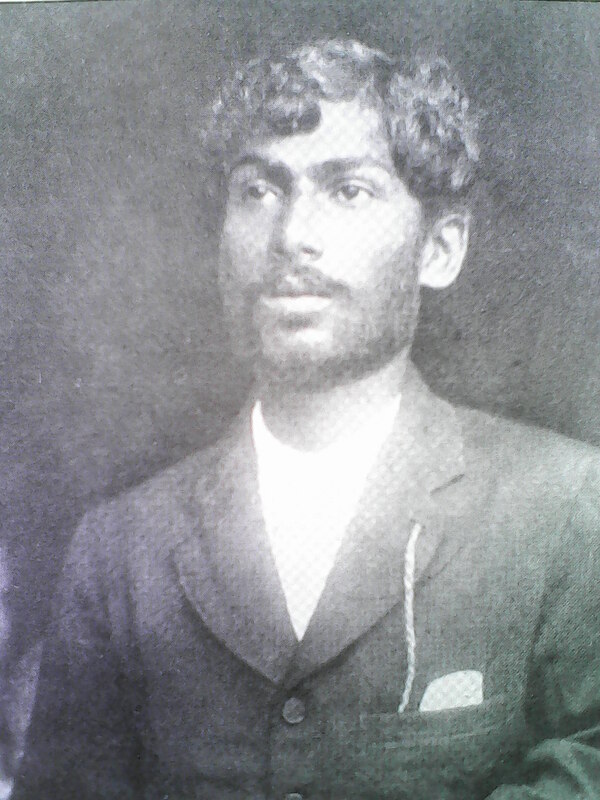 On 2 May 1908 Nolini Kanta was arrested in connection with the Muzaffarpur bomb outrage along with the other members of the Maniktolla Secret Society. The trial later came to be known as the ‘Alipore Bomb Trial’. 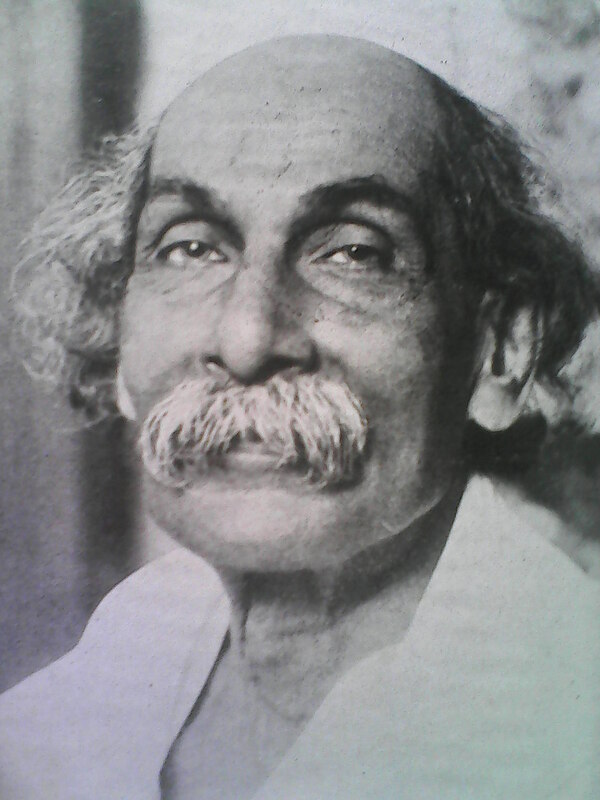 After spending a year in Alipore Central Jail as an undertrial he was acquitted in May 1909 due to lack of evidence to prove his involvement in any conspiracy of waging war against the British Empire. 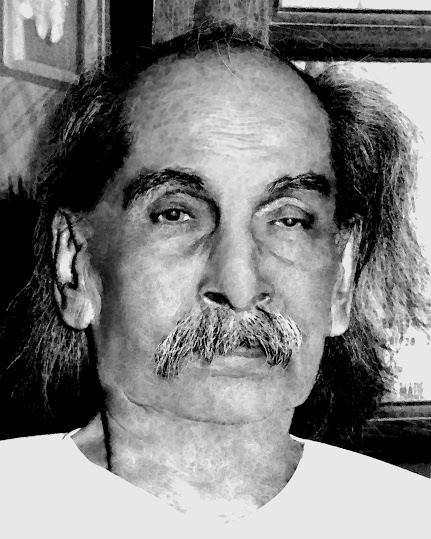 He withdrew from active politics after his acquittal from prison and became the chief associate of Sri Aurobindo (whom he had met during the Swadeshi movement) when the latter started the publication of his two weeklies (the Karmayogin in English and the Dharma in Bengali). 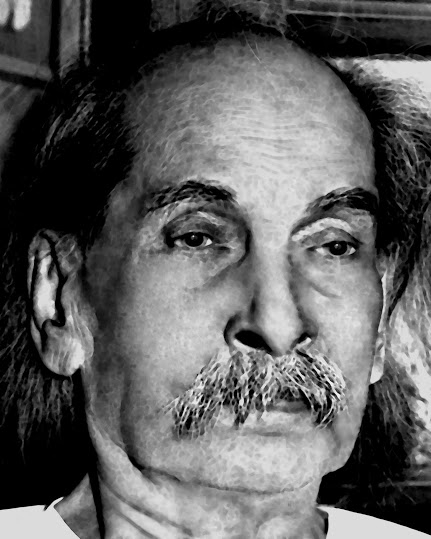 When Sri Aurobindo left Bengal and migrated to Pondicherry in April 1910 Nolini Kanta too followed him seven months later. 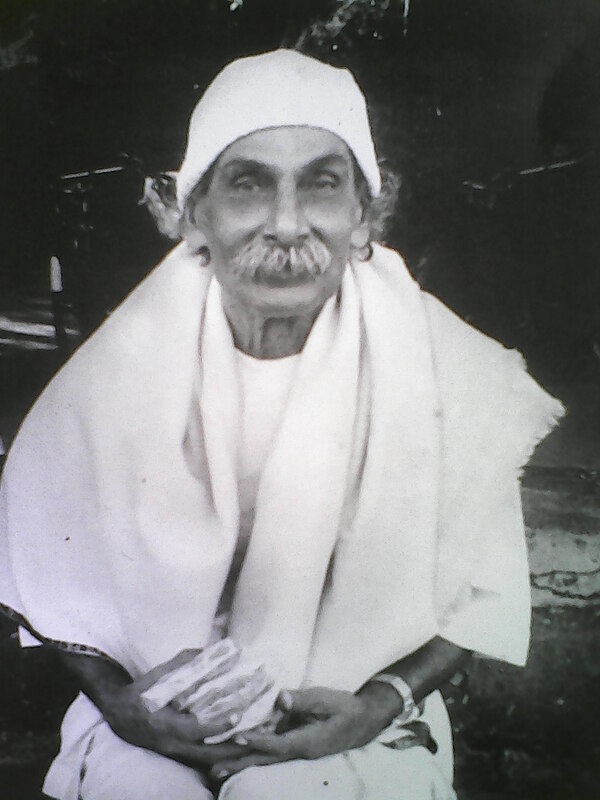 When after 1926 Sri Aurobindo withdrew into complete seclusion and the Mother took charge of the newly-formed Ashram, Nolini Kanta became its Secretary. 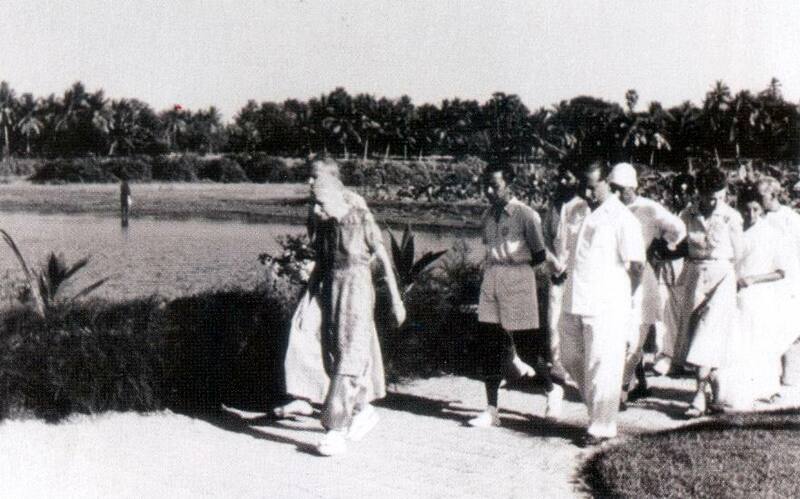 When the Sri Aurobindo Ashram Trust was formed by the Mother she appointed Nolini Kanta as one of the founder-trustees. 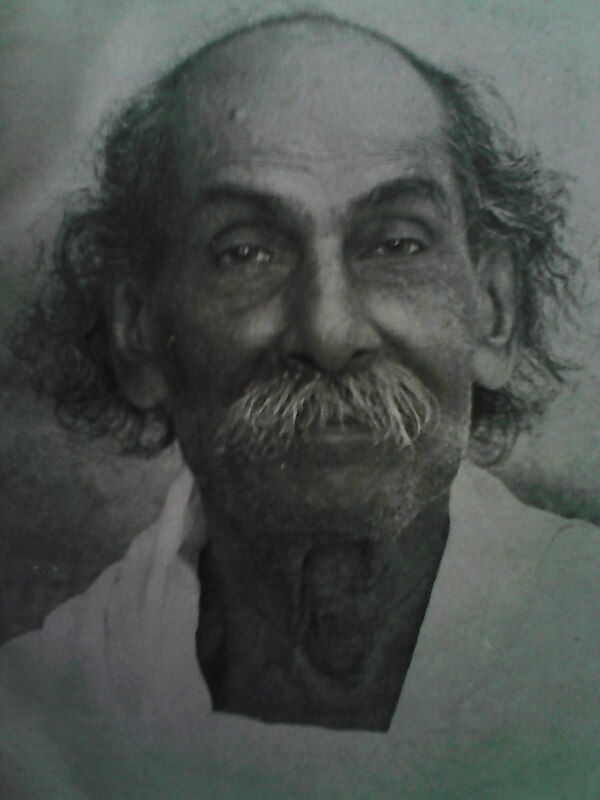 Regarded as one of the most advanced sadhaks of the Integral Yoga he was equally prolific in Bengali, English and French and went on to author more than fifty books in Bengali, thirty in English and five in French. 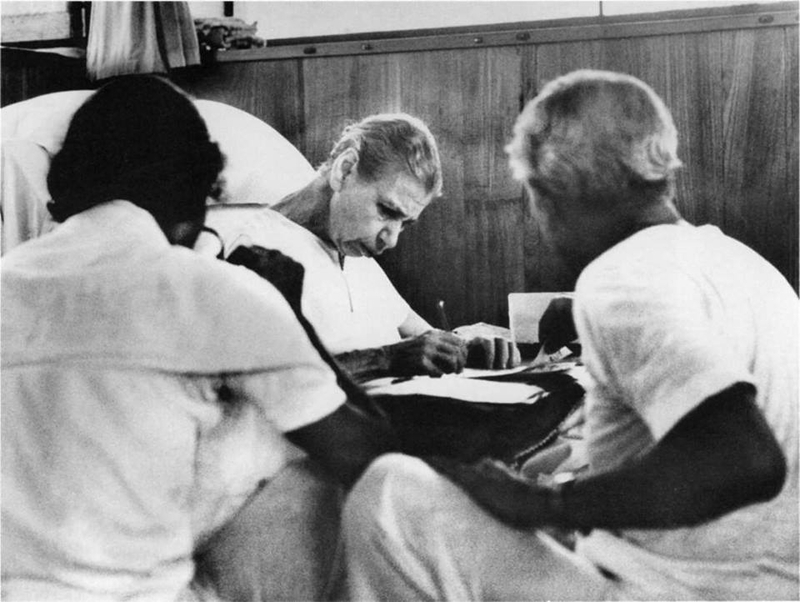 In the Aurobindonian community he was known as ‘Sri Aurobindo’s manasputra’. 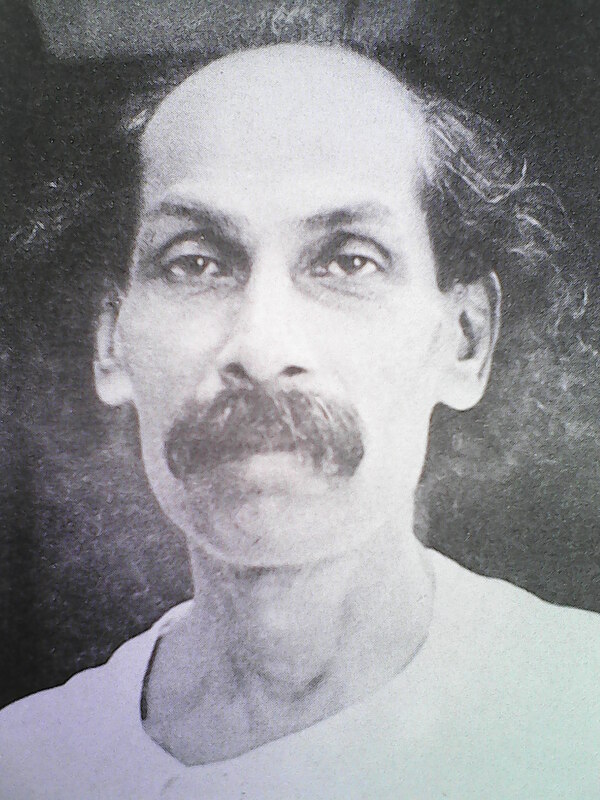 13 January 2014 marks the 125th Birth Anniversary of Nolini Kanta Gupta. As our humble homage to him a set of fifty-five photographs of Nolini Kanta Gupta has been uploaded in the online forum of Overman Foundation. 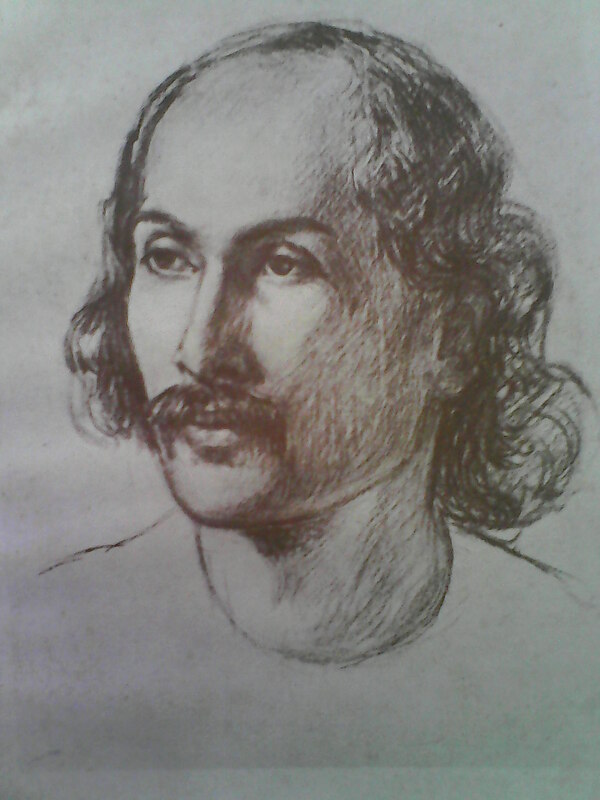 Nolini Kanta Gupta at the age of twenty-five. 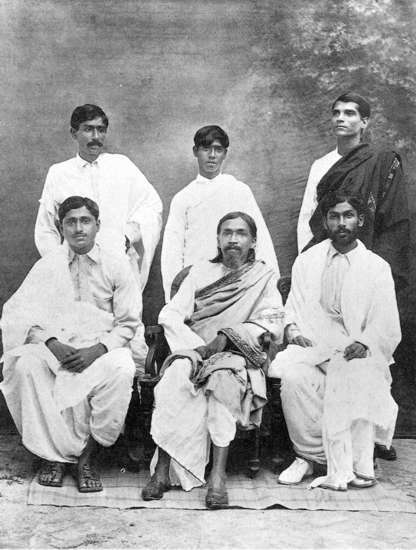 Nolini Kanta Gupta [seated extreme right] with Sri Aurobindo, Bijoy Nag [seated extreme left] and Suresh Chandra Chakraborty alias Moni [standing behind Nolini Kanta]. 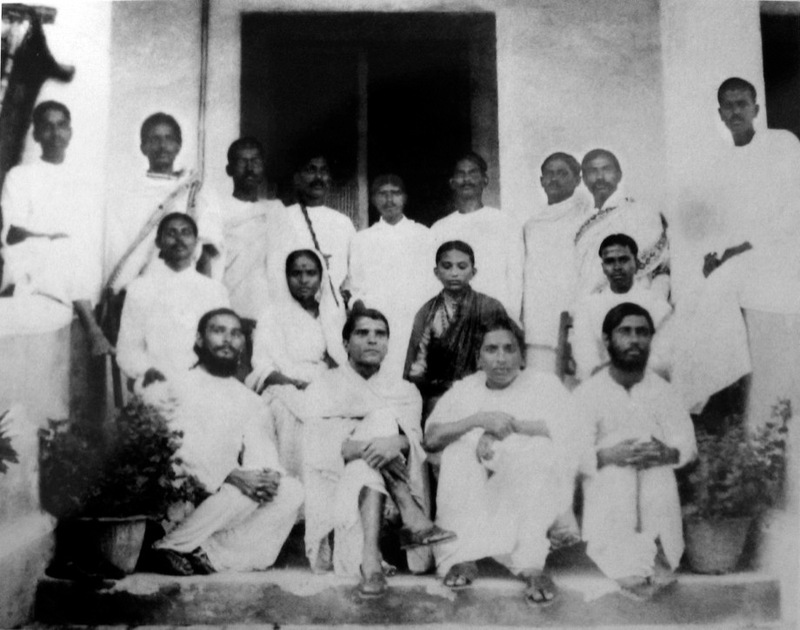 Top (left to right): Rajangam, Tirupati, Khitish, Nolini Kanta Gupta, Satyen alias Vindyeswari Prasad, Kanailal Ganguly, Bijoy Kumar Nag, Ambalal Balakrishna Purani and Nagaratnam. 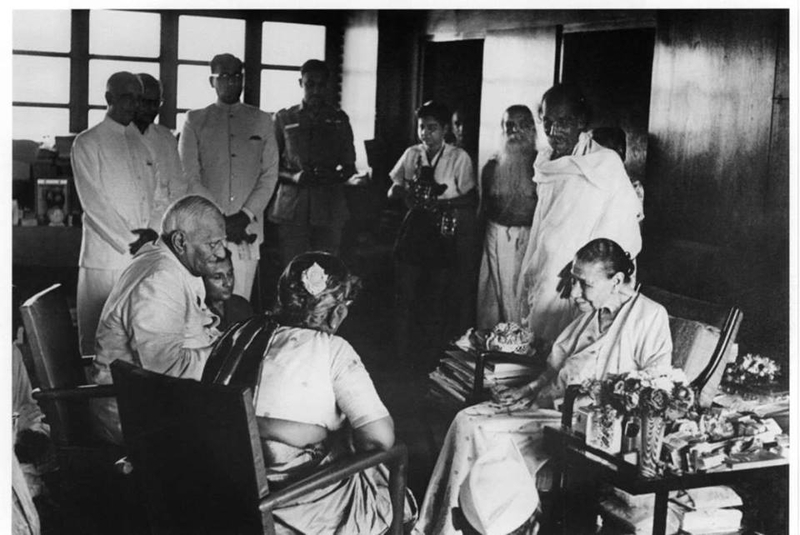 Centre: Punamchand, Champaben (Punamchand’s wife), Mrs. Kodandaraman and Kodandaraman Rao. 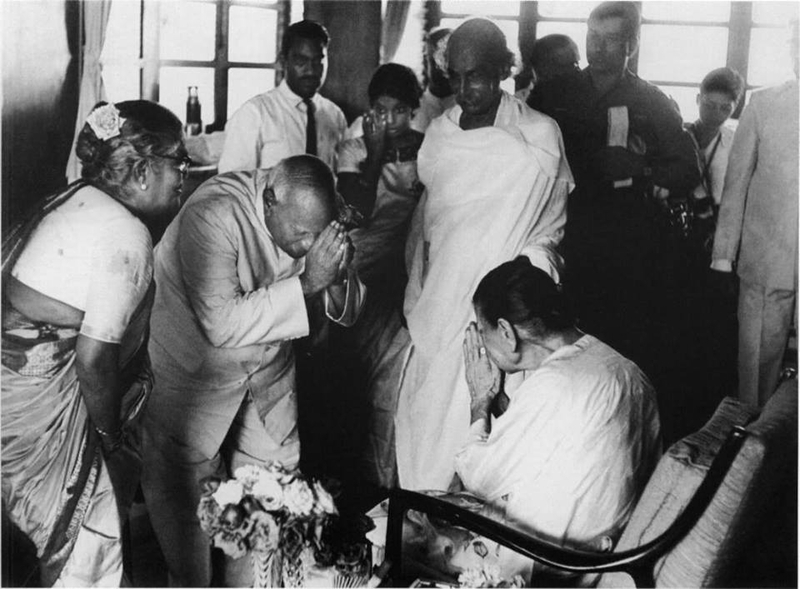 Bottom: Champaklal, Suresh Chandra Chakraborty alias Moni, K.Amrita and Manmohan. 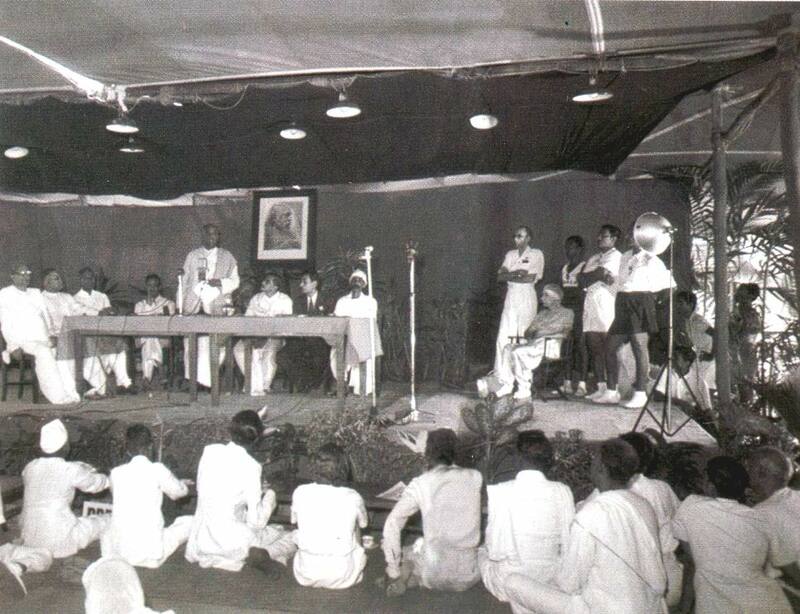 Nolini Kanta Gupta at the inauguration of Sri Aurobindo Memorial Convention on 24 April 1951. 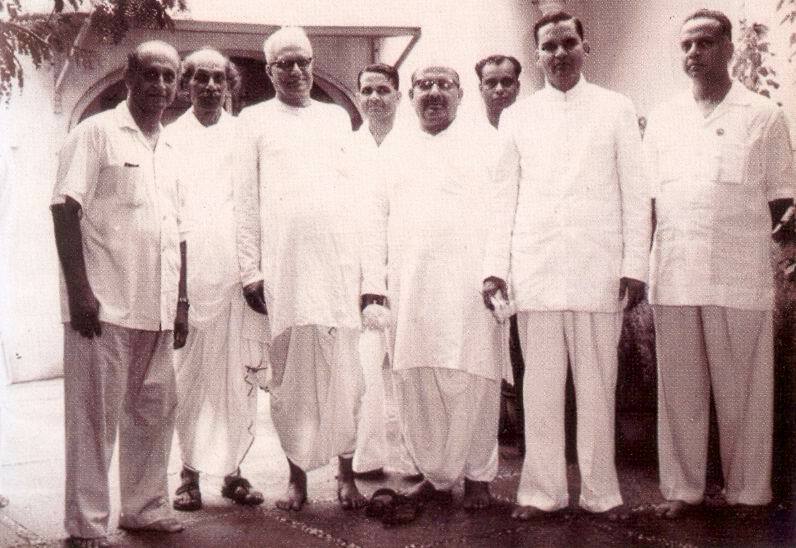 [From left to right] Surendra Mohan Ghosh, Surendranath Jauhar, Navajata, Shyama Prasad Mukherjee, Madhav Pandit, Soli Albless, Nolini Kanta, Pavitra, the Mother [seated], Amiyo Ranjan Ganguly, Pranab Kumar Bhattacharya and Udar Pinto. 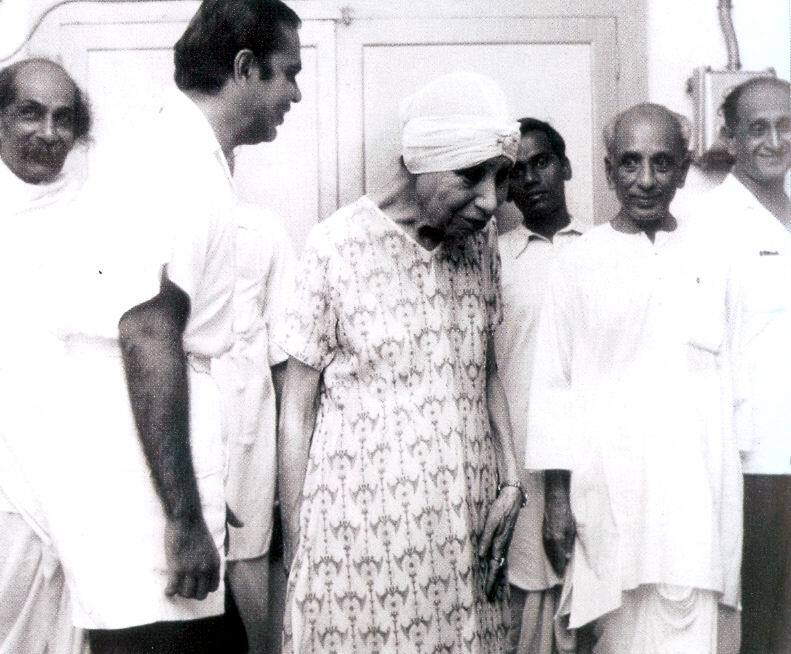 Nolini Kanta standing next to the Mother at the inauguration of Sri Aurobindo Memorial Oration on 24 April 1951. 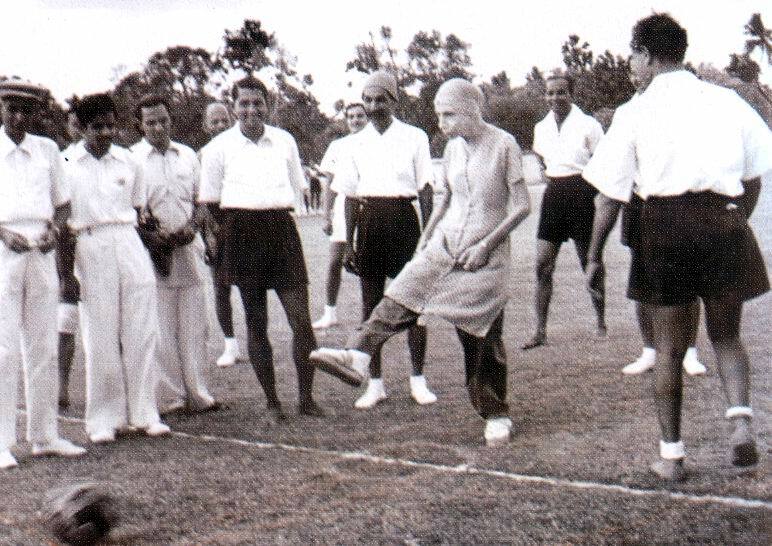 Nolini Kanta with the Mother, Tejendranath Mukherjee, Pranab Kumar Bhattacharya and Udar Pinto in the Sports Ground. The Mother is seen here starting a football match between the Adults and the Youth. 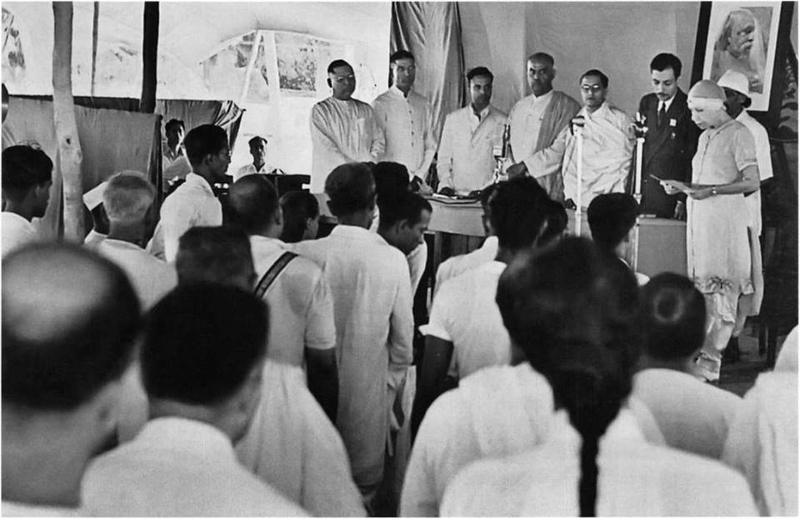 The Mother at the inauguration of “Senteurs” in September 1958. Behind the Mother are Tanmaya, Udar Pinto, Nolini Kanta Gupta and Gautam. 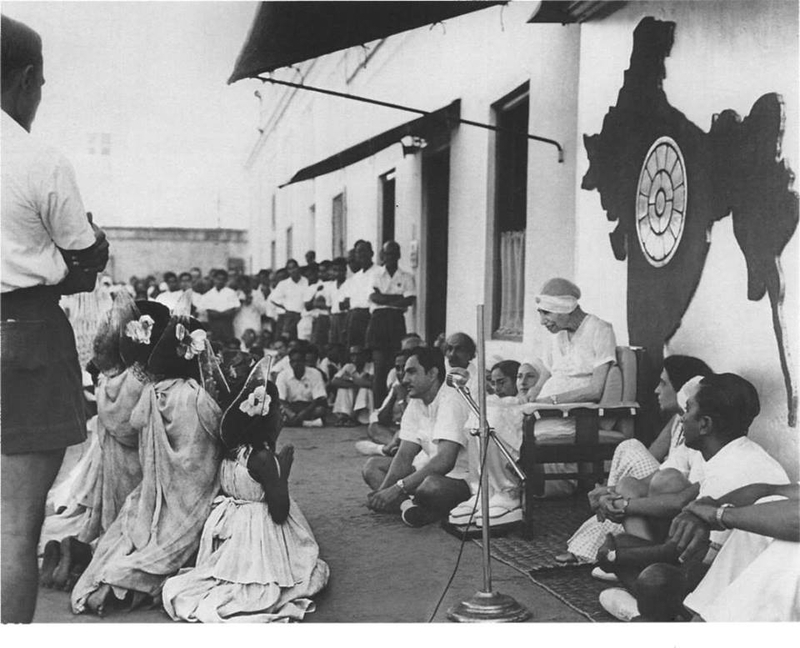 The Mother at “Senteurs” in September 1958 with Nolini Kanta Gupta, Minoo, Udar Pinto, Dyuman and Millie. 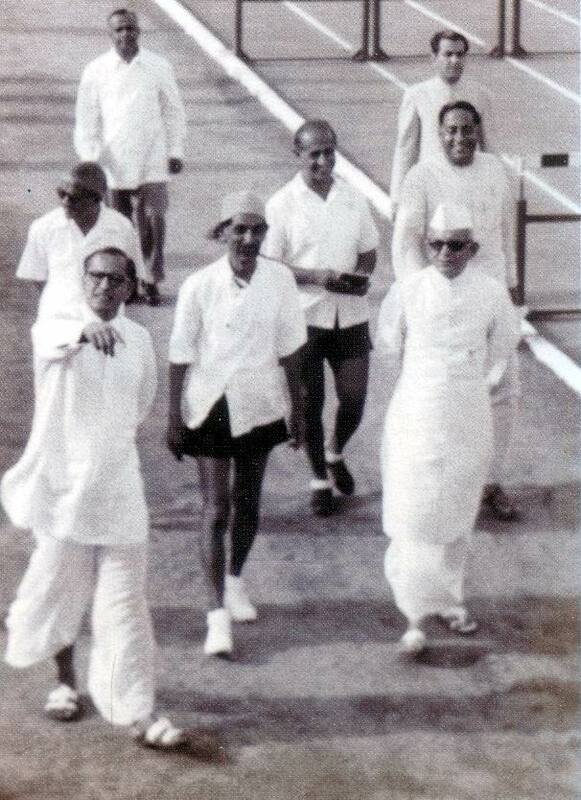 The Mother at “Senteurs” in September 1958 with Nolini Kanta, Pranab Kumar Bhattacharya, Tanmaya, Udar Pinto and Panu Sarkar. 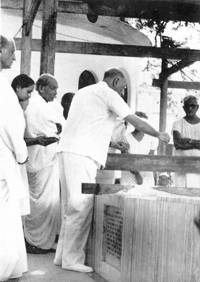 The Mother at the Handmade Paper Unit on 9 December 1959 with Prabhakar, Udar Pinto, Tarachand, Pavitra, Kiran and Nolini Kanta Gupta. 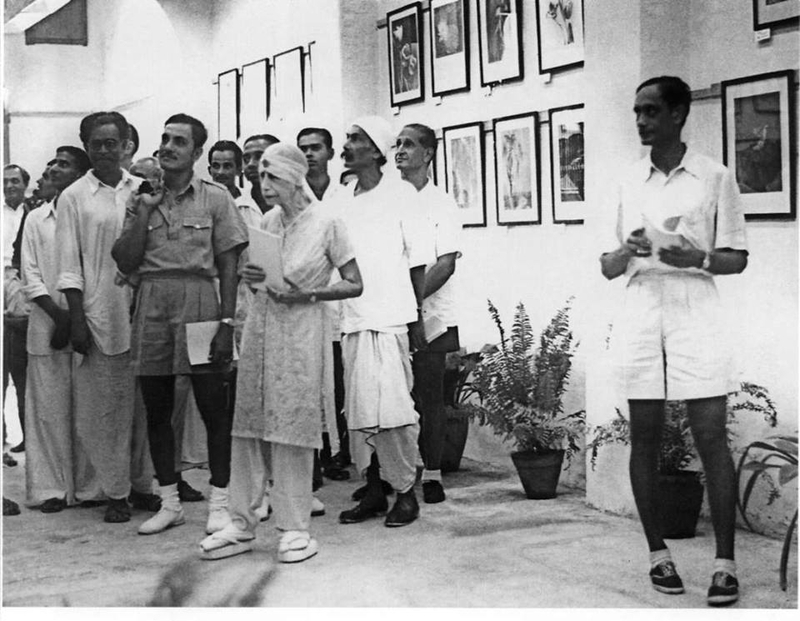 The Mother at the Handmade Paper Unit on 9 December 1959 with Panu Sarkar, Nolini Kanta Gupta, K. Amrita, Dayakar, Prabhakar, Pavitra and Udar. 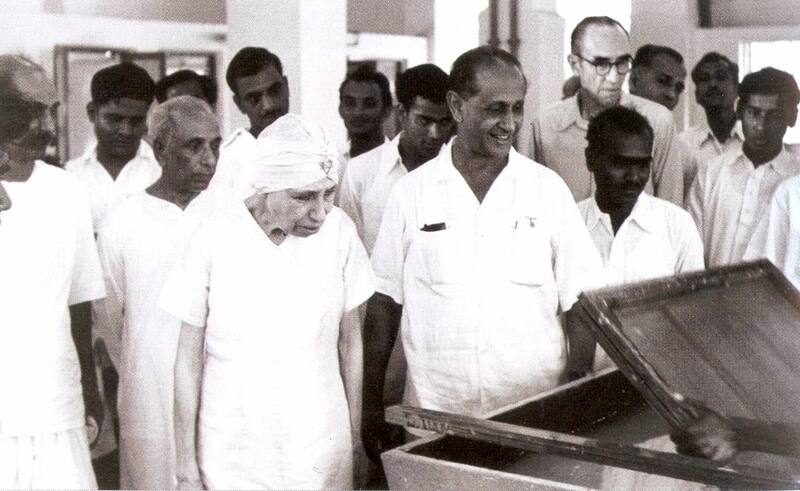 The Mother watching hand-lifting of paper at the Handmade Paper Unit on 9 December 1959 with Nolini Kanta, Panu Sarkar, K. Amrita, Dayakar, Prabhakar, Udar Pinto, Kiran and Pavitra. The Mother at the Island (1958) with Ananta, Amiyo Ranjan Ganguly, Udar Pinto, Nolini Kanta, Eleanor, Huta and Amrita. 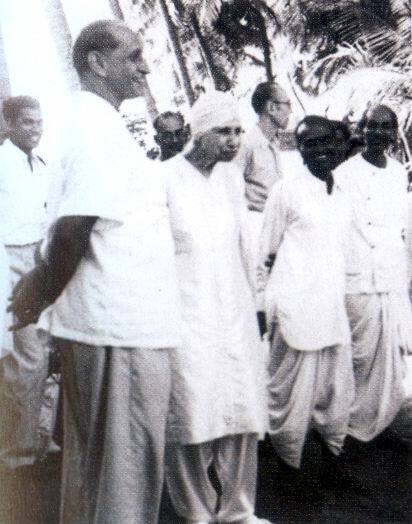 The Mother visiting New Horizon Sugar Mills on 12 April 1959 with Kesarimal, Dayabhai, Chandrakant, Amrita, Nolini Kanta, Udar Pinto and Laljibhai. 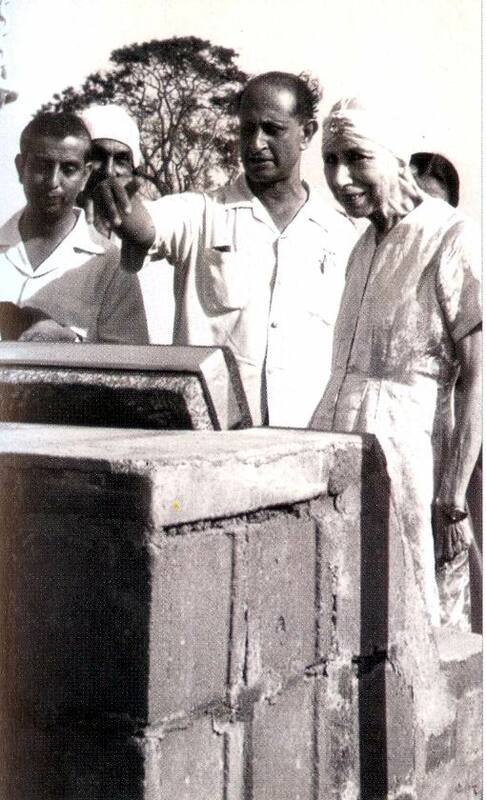 The Mother laying the foundation stone of the New Horizon Sugar Mills on 12 April 1959. Nolini Kanta Gupta and Udar Pinto are standing on her right. Nolini Kanta Gupta with K.M. 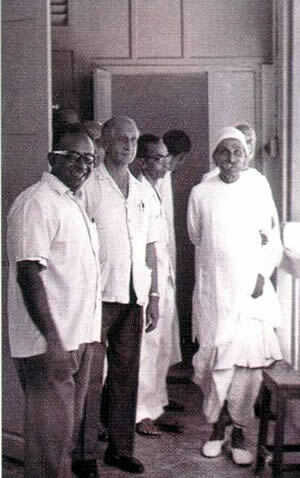 Munshi, Madhav Pandit, Udar Pinto and Charupada Bhattacharya. 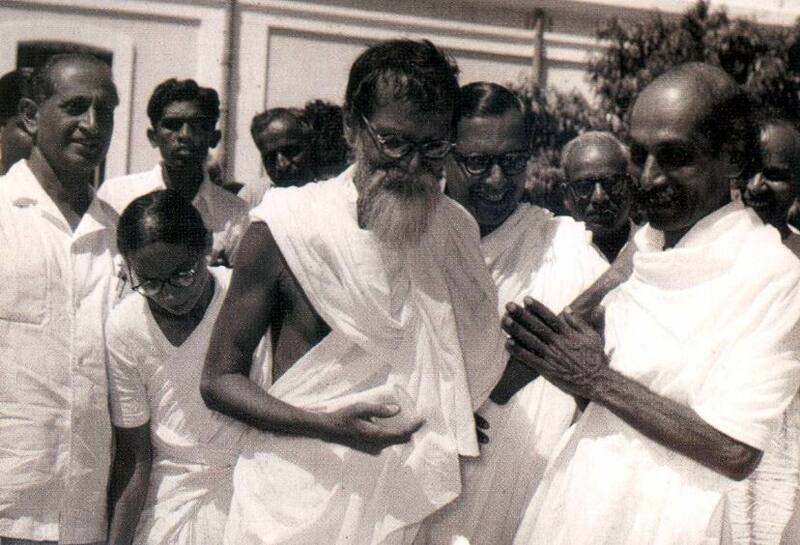 Nolini Kanta Gupta with Vinoba Bhave, Udar Pinto, Madhav Pandit and Indra Sen (August 1956). 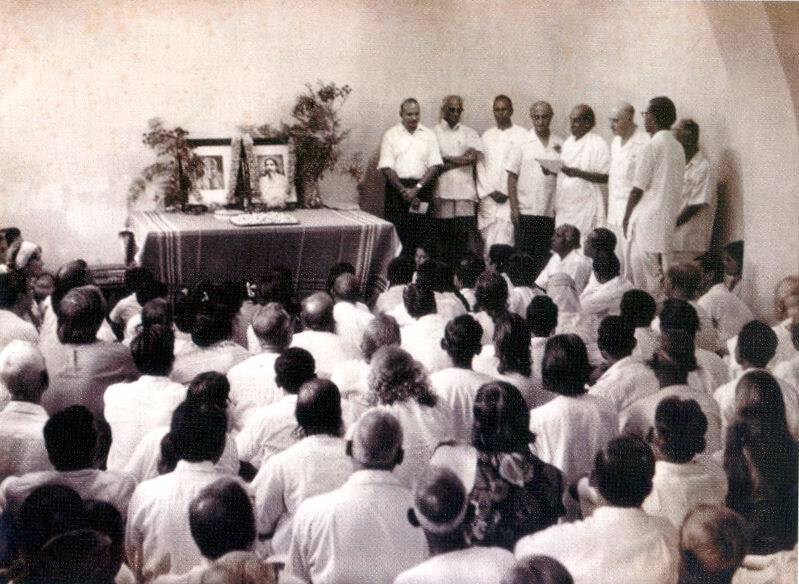 Nolini Kanta Gupta at the inauguration of Sri Aurobindo’s Action with Dr. Kireet Joshi, Kalyan, Prapatti, Udar Pinto, André Morisset (the Mother’s son), Shyam Sundar Jhunjhunwala and Pradyot Kumar Bhattacharya. 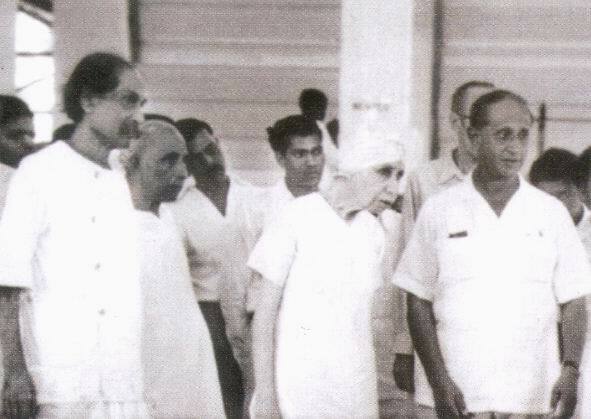 Nolini Kanta with Manubhai Shah, Udar Pinto, Surendra Mohan Ghosh and Navajata. 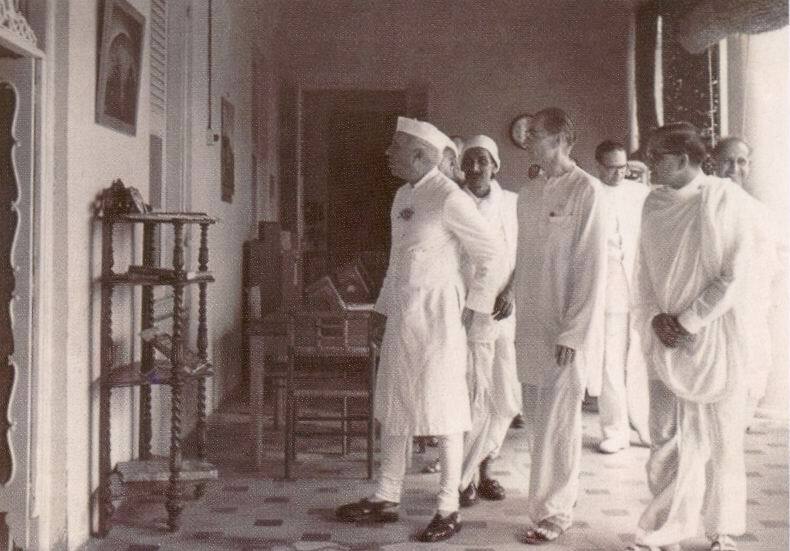 Visit of Jawaharlal Nehru to the Ashram Library on 13 June 1963. Seen with him—Nolini Kanta, Medhananda, Kewal Singh, Madhav Pandit and Udar Pinto. 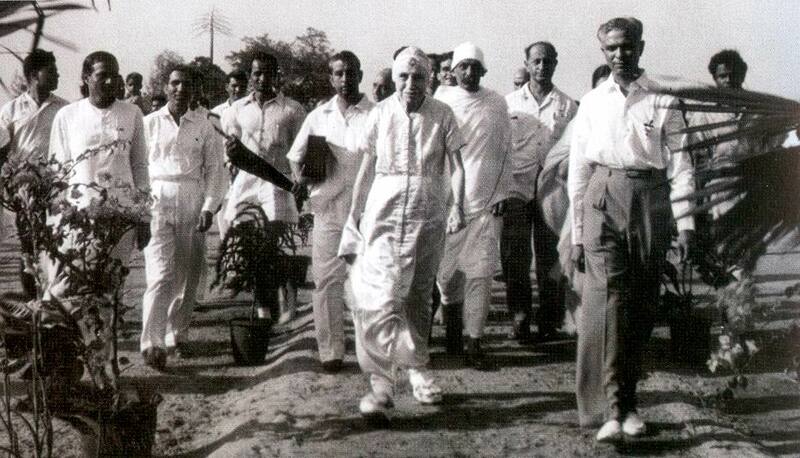 Jawaharlal Nehru with Nolini Kanta Gupta. Nolini Kanta with the Mother at Jhunjhun Boarding. Also seen: Abhay Singh Nahar, Pavitra and Dr. Kireet Joshi. The Mother with V.V. Giri in her room. Seen with the Mother: Nolini Kanta, Champaklal and Tara Jauhar. The Mother, V.V. Giri and Nolini Kanta Gupta. The Mother with Nolini Kanta (left) and Amrita (right). 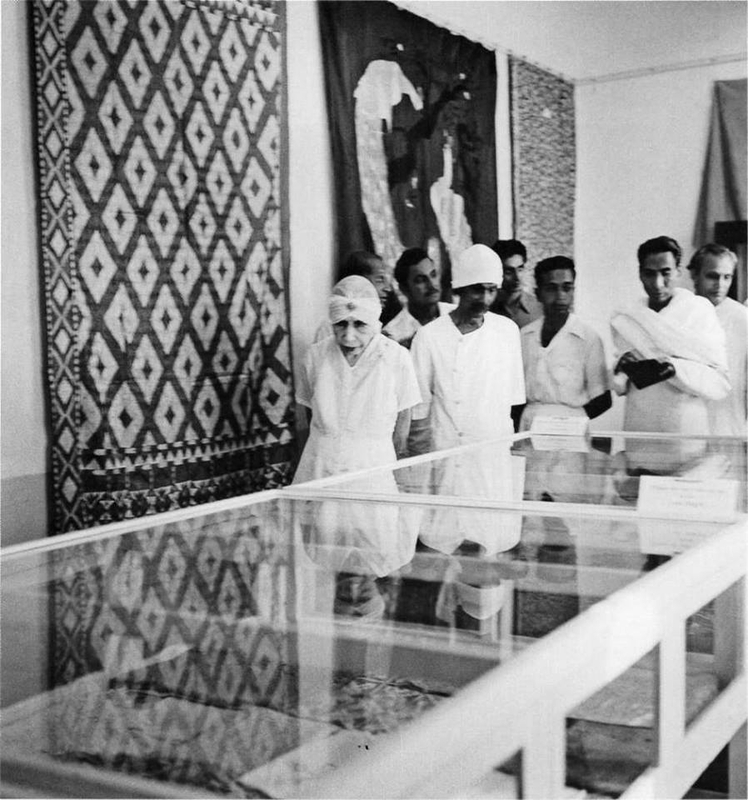 The Mother in the Exhibition Hall with Nolini Kanta, Pranab Kumar Bhattacharya and Udar Pinto. The Mother with Nolini Kanta Gupta and Udar Pinto. Nolini Kanta Gupta with the Mother. The Mother with Nolini Kanta Gupta. The Mother in the Playground with Pranab Kumar Bhattacharya and Nolini Kanta Gupta. 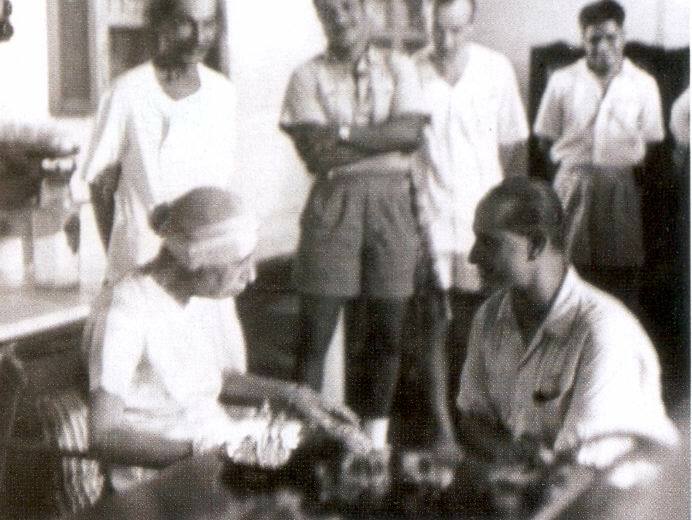 The Mother looking at the decorations of Christmas 1960 with Udar Pinto, Nolini Kanta Gupta and Mona Pinto. The Mother in the Playground with André Morisset, Nolini Kanta, Amrita, Madame Kobayashi and Gauri Bhattacharya. 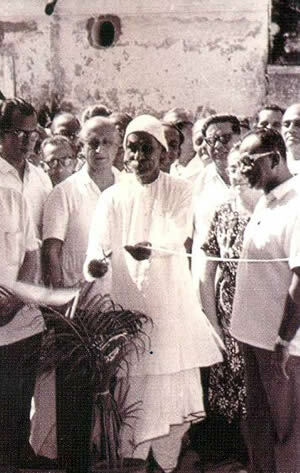 Nolini Kanta Gupta at the opening of Trésor Nursing Home on 2 January 1970. 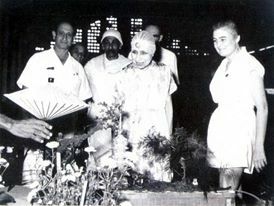 Nolini Kanta and Udar Pinto at the opening of Trésor Nursing Home on 2 January 1970. 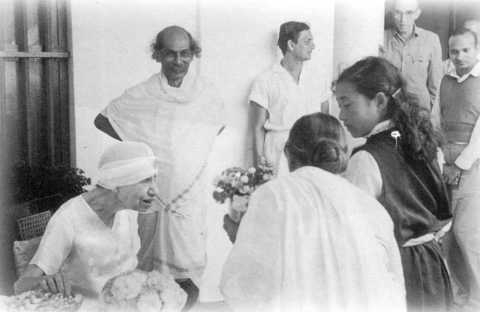 The Mother at the Ashram Press on 23 August 1961 with Nolini Kanta Gupta, Robi Ganguly, Amrita and Udar Pinto. 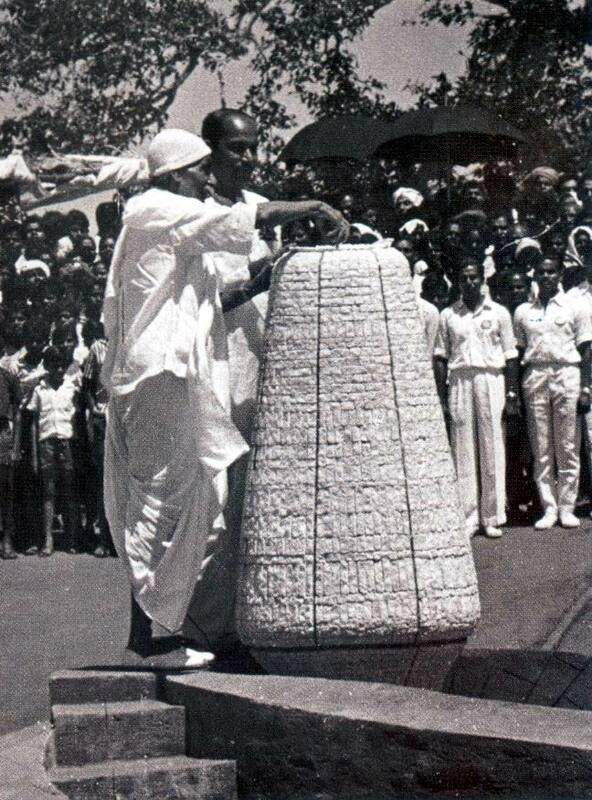 Nolini Kanta sealing the Urn at Auroville on 28 February 1968. 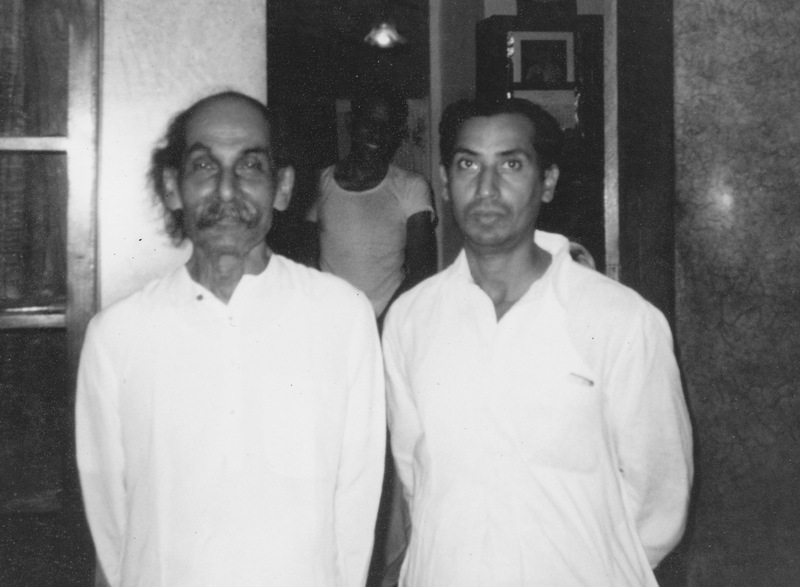 His eldest son Samir Kanta Gupta is standing next to him. 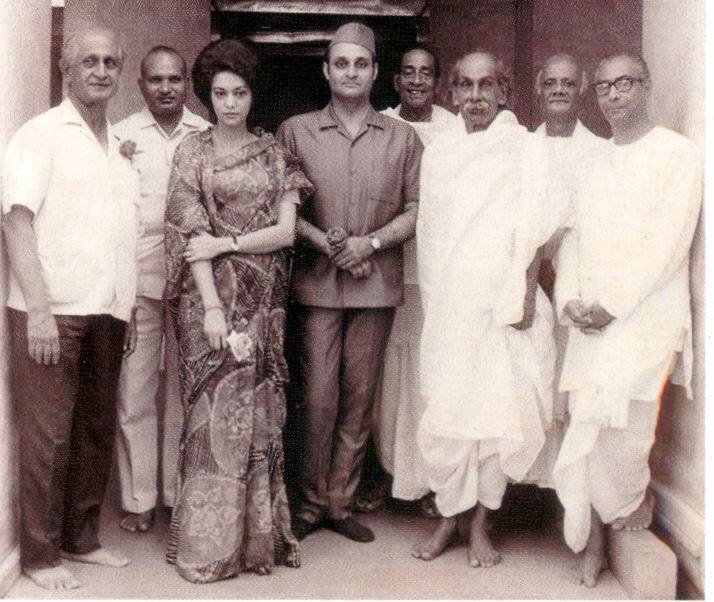 Nolini Kanta Gupta with Dr. Karan Singh, Udar Pinto, Dr. Kireet Joshi, Charupada Bhattacharya, Sisir Kumar Mitra and Arabinda Basu. 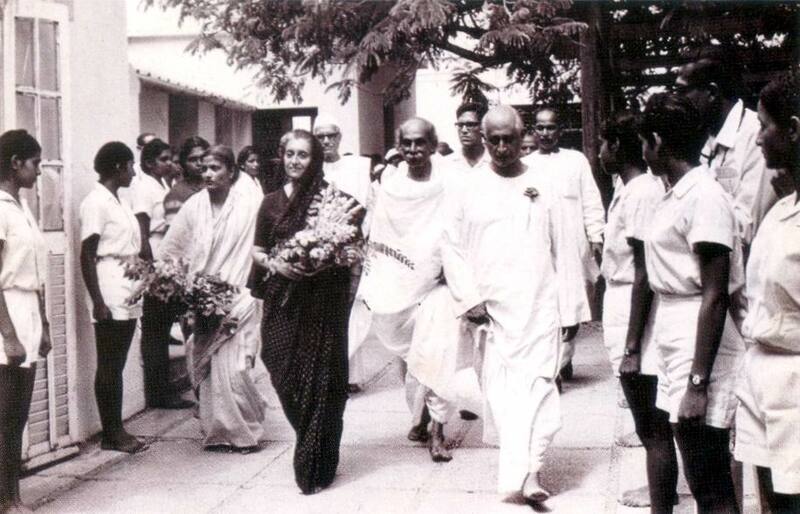 Nolini Kanta and Udar Pinto with Indira Gandhi (12 February 1971). 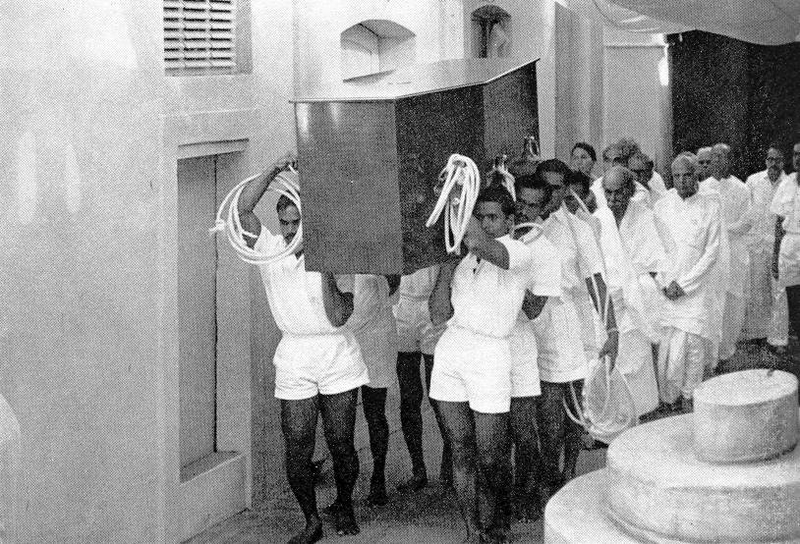 Nolini Kanta following the Mother’s coffin to the Samadhi vault on 20 November 1973. Nolini Kanta and André Morisset scattering rose petals on the Samadhi (20 November 1973). 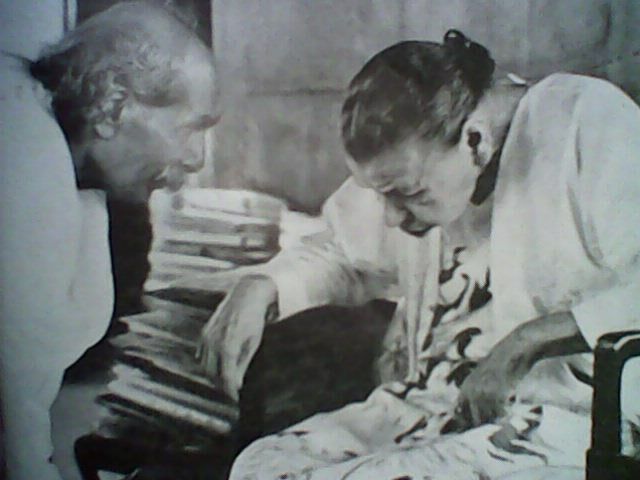 Nolini Kanta Gupta with Chinmoy. 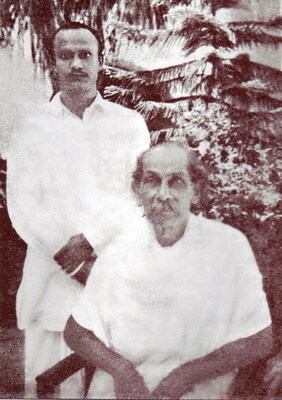 Nolini Kanta Gupta with his youngest son Robi Gupta. 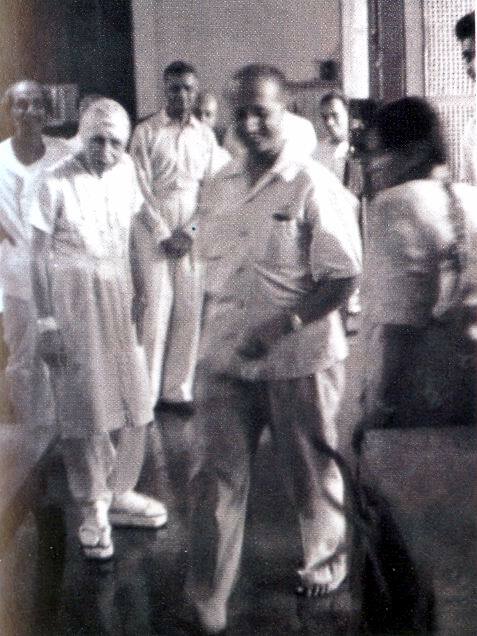 Nolini Kanta Gupta after leaving his physical sheath (7 February 1984). 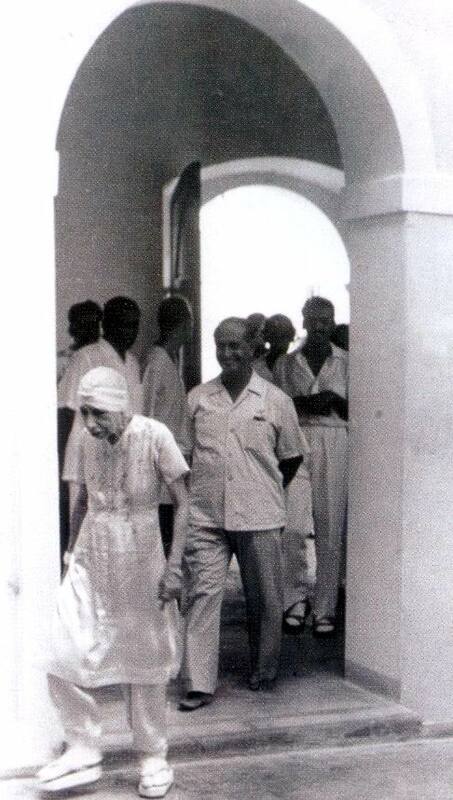 “Nolini Kanta following the Mother’s coffin to the Samadhi vault on 20 November 1973″—Please don’t say “Mother’s coffin”; it is the Mother’s immortal earthly remains. 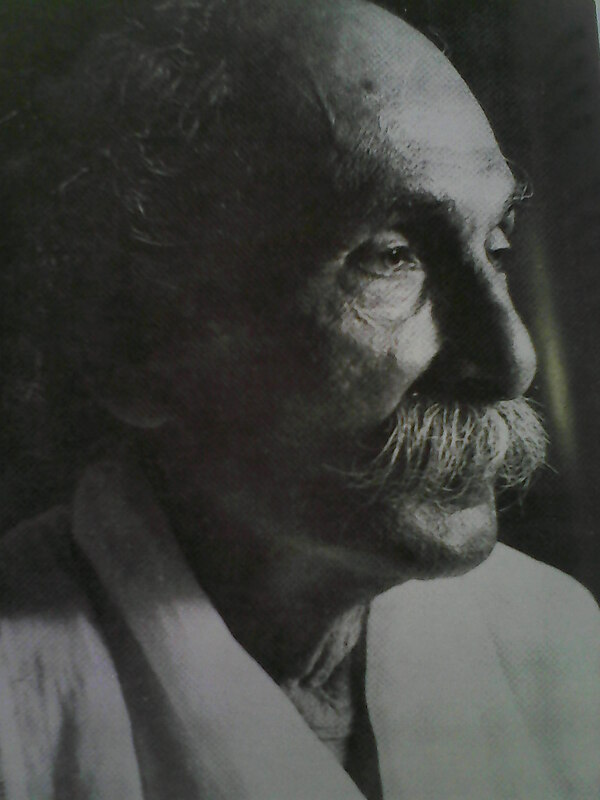 YOU ARE PURSUING A REAL EFFORT TO ENRICH ALL, ALL AND ALL IN THIS WORLD TO GET IN TOUCH WITH THE LIVES OF THE IDEAL PATRIOTS AND INTEGRAL YOGIS…HELPING NOT ONLY YOURSELF IN CARRYING OUT THE GIFTED INTEGRAL YOGA BUT ALSO US DIRECTLY AND INDIRECTLY…..MANY THANKS……………. 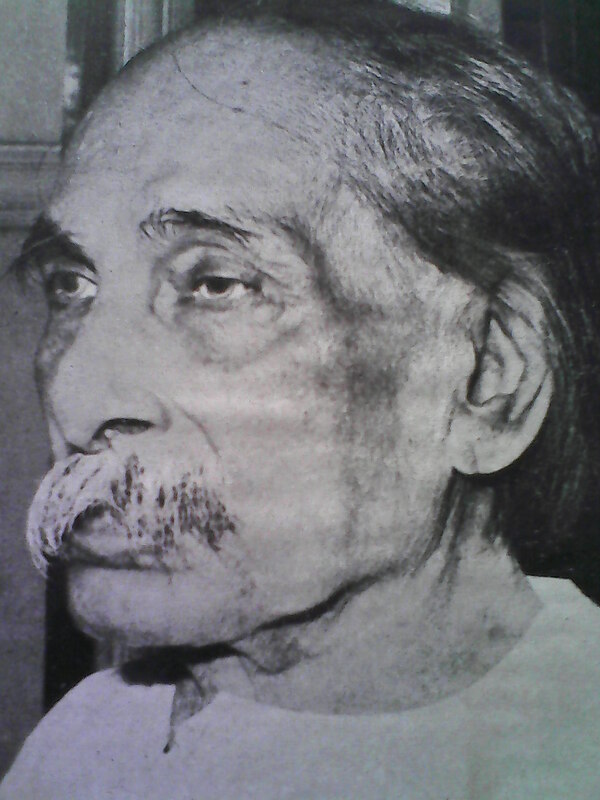 Dear Anuragji thank you very much for provide us the beautiful photograph of Nolinida on his 125th birth aniversary.. Thank you for the beautiful photographs of Nolini. 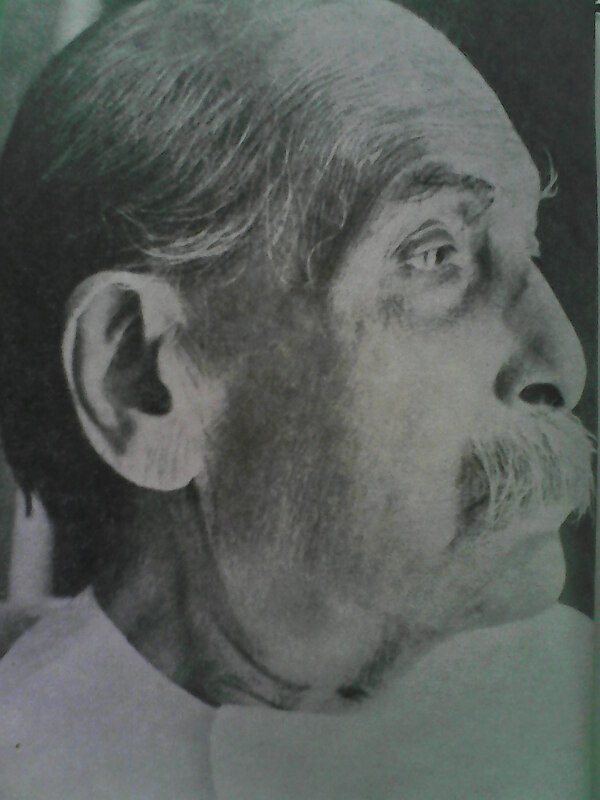 They never cease to inspire, always drawing the soul and calling for a greater and deeper self-giving to the Mother and Sri Aurobindo which his life exemplified. We get a reflection of his sweet relation with the Mother, his soul’s silent, uplifted and happy poise in Her. 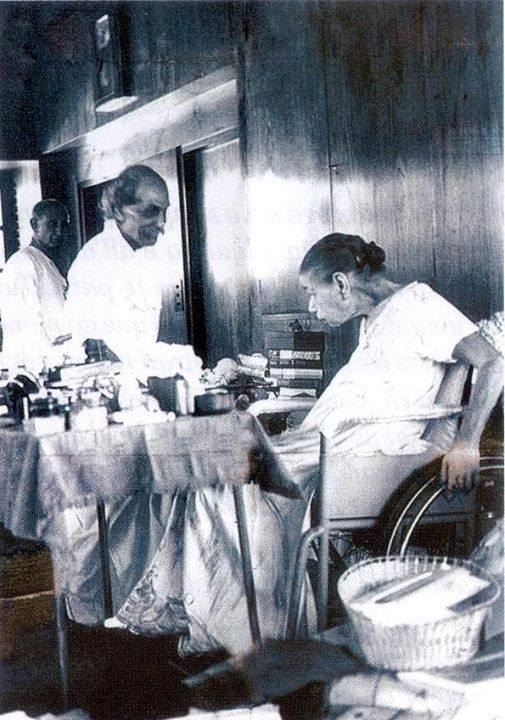 Lovely tribute to one of the most loved disciples of Sri Aurobindo and the Mother. This is great gift to us. Our respectful pronam to Nalinida. 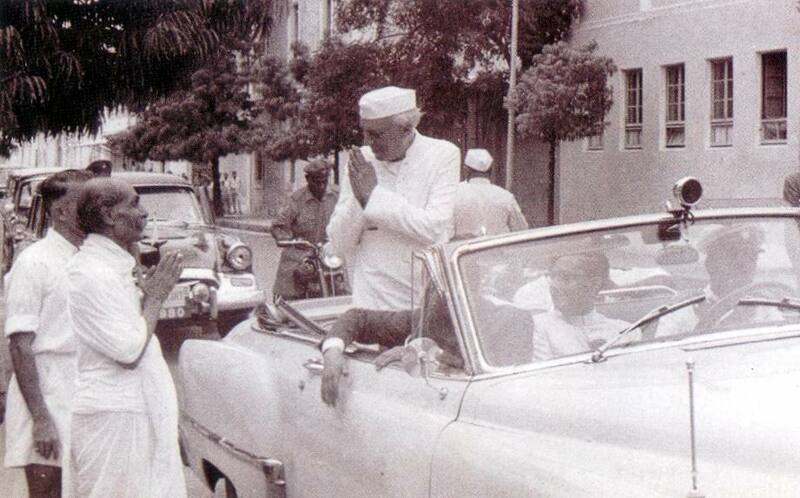 Wonderful Anuragji, On his Birth Day you delighted us with this. All in one place. 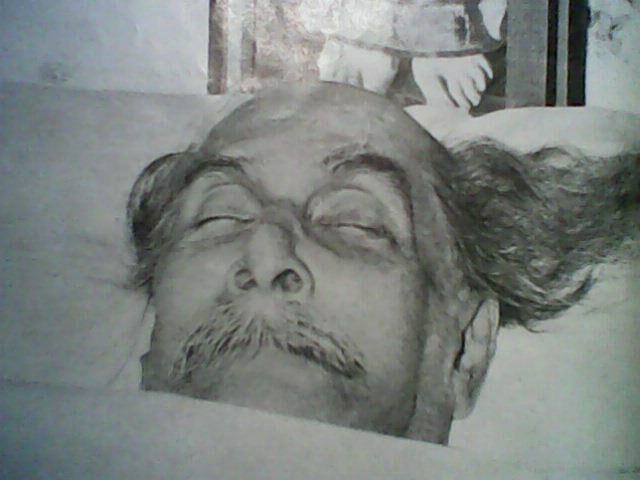 Last Photo: Material Physical Sheath of Sri Nolinikant Gupta after he left it. Nolinida , one of the first generation persons in Ashram whom I adore. Such picture gallery of all passing souls, all fighter against the Death-God, of the Ashram may be created. pilgrims of immortality will receive courage and inspiration from them. Many thanks for sending the photos. thank u sir for these nice photos. We are grateful. Anurag for us means : Excellence. Extremely grateful to you for your kind appreciation.